The burning of the bus in Lviv on April 1 took place under control of the Security Service of Ukraine (SBU) within the investigation of the explosion at the Polish memorial site at Lychakivske cemetery. Viktor Kononenko, the Deputy Head of the SBU claimed this at the briefing as 112 Ukraine broadcasted. The service reported that the investigation established the operational contact when the perpetrator was identified, the citizen of Kyiv region of 1979-year of birth, and involved him in the cooperation. ‘He reported that by the order of the mentioned persons on March 23, 2018, he set one bus with the Polish registration on fire in Lviv but this event was not noted so it was not counted by the Russian curators. They ordered another action with the obligatory video-recording of the bus burning’, Kononenko said. The aim of the clients was the destabilization of the situation in the country and discrediting of Ukraine in the world. The burning of the bus was simulated on April 1 under control of the SBU with the use of the pyrotechnics to record the full cycle of the commitment of the crime from the client to the perpetrator. Also, the red-black stickers issued by a client were plastered all around. The cycle of the reporting ended when the report was passed to the client and two criminals involve in the case were detained in Kyiv. 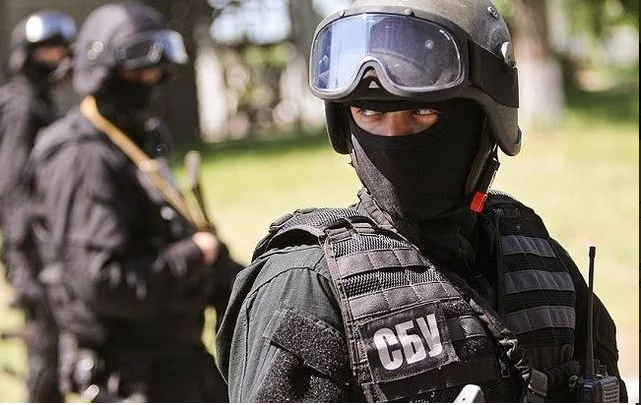 ‘Unregistered traumatic weapon, stickers similar to plastered in Lviv, mobile terminals and substances of drug origin were found and confiscate during the search at the place of the residence’, Kononenko specified. The Cemetery of the Defenders of Lviv is the Polish military memorial in Lviv. The defenders are the partakers of the fight against the West Ukrainian People's Republic (1918-1919) and Bolsheviks (1920). They were buried at the Cemetery of the Defenders of Lviv, which is a part of the Lychakiv Cemetery. On March 13, a blast occurred not far from the Polish memorial. The criminals threw an explosive at the territory of it and it landed on the lawn. Nobody suffered and the memorial was not damaged. The perpetrators were detained in the beginning of April and arrested without a right for a bail by Lviv court on April 3. » Poland’s vice consul called Lviv "Polish city"